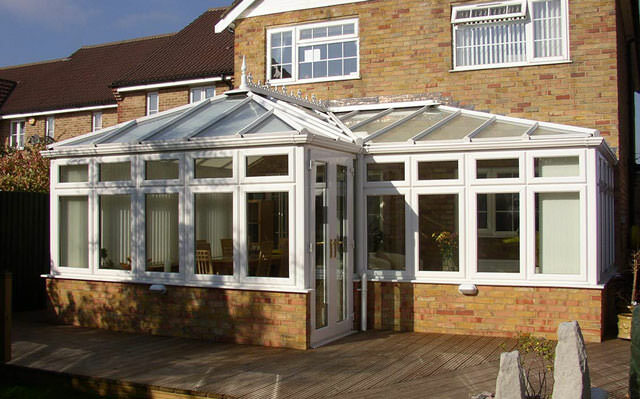 Looking for Conservatories in Bedford? Take a look at our popular range of styles. P&M Windows are leading local suppliers of beautiful uPVC conservatories across Bedford. Whether you’re looking for an elegant dining space to entertain friends, or somewhere to chill on hot summer days, we have the conservatory to suit your needs. We’re a family run Bedford business, and we’re proud to have built our second-to-none local reputation largely through recommendations. 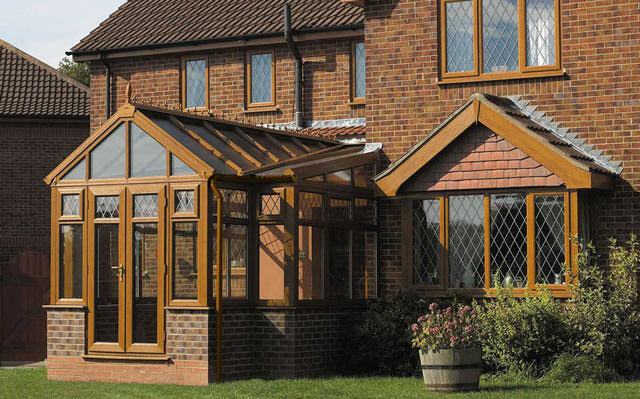 Which of Our Conservatories is Right For You? 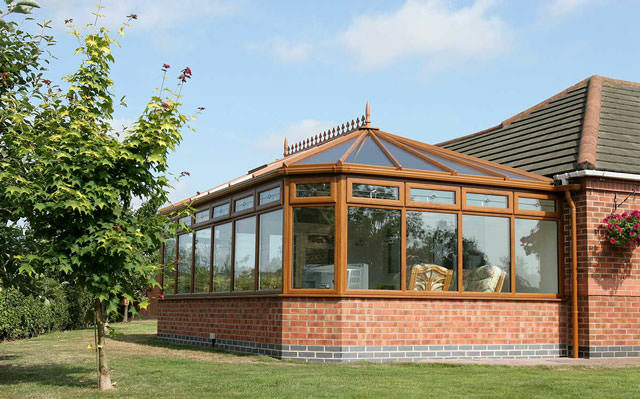 We are expert conservatory installers, and we’re always happy to talk through the many different styles we supply to help you decide which one is right for you. 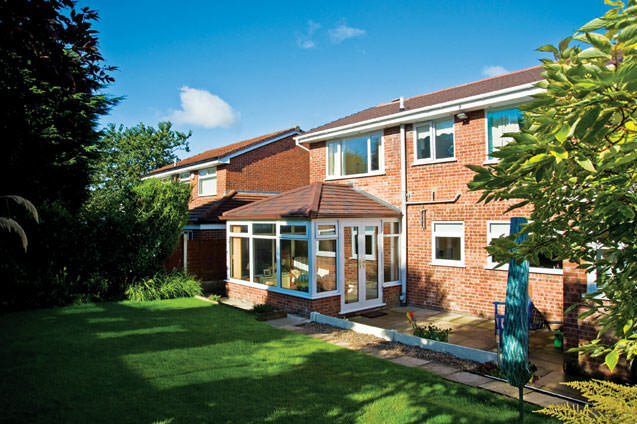 If you’re looking to enhance the natural light and sense of space in your home, we’ll work with you to find the conservatory that’s perfect for you. Say the word conservatory and it’s this design that tends to come to mind. Our Victorian conservatory is characterised by its elegant finials, and decorative heritage finish. The softly rounded five-facet design provides you with panoramic views of your garden, and an excellent quality of light from all angles. This reassuringly traditional model works equally well with either older properties, or new builds. 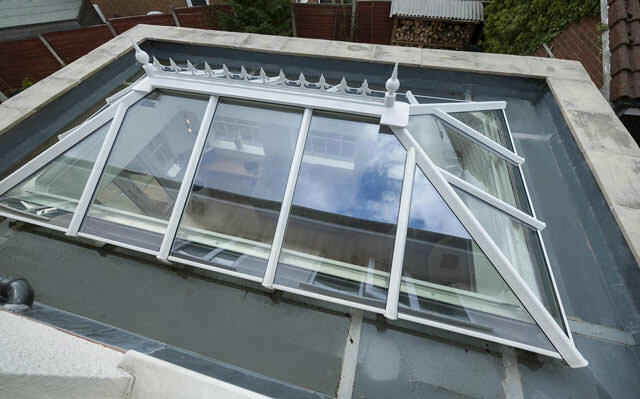 The sophisticated appearance of the Lantern conservatory is as a result of its stepped, glazed roof. The sense of height and depth afforded by this feature roof is unique to this particular style. The separation of the higher part, from the lower by a row of vertical windows offers an unhindered roofline view, and floods the space with natural light. This is a perfect addition to a period property. 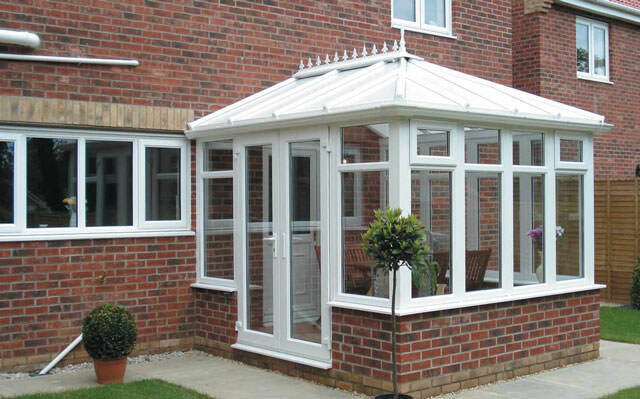 The Gable conservatory features a roof comprising sloping sides with a vertical endpiece. It’s a design that’s inspired by Georgian architecture, and its steep angles lend a touch of grandeur to to both old and new properties. One particularly attractive feature is the use of windows rising to the apex of the gable. This maximises the natural light, and gives a heightened sense of elevation to the space. The bold rectangular design of the Edwardian conservatory maximises the floor space, and is characterised by clean, sleek lines, and a handsome pitched roof. This is an elegant heritage design which benefits from decorative flourishes such as crestings and finials. The spatial qualities of this conservatory space lend themselves particularly well to a dining space, or family room. This is a popular design, because it’s supremely adaptable, practical and affordable. Whatever the style or size of your property, the Lean-To design will work equally well as a contemporary garden room. This is a particularly effective solution for properties that have low eaves, such as terraced houses, or bungalows. If you need your conservatory to provide a flexible living space, P&M Windows can create blended designs to serve your needs. 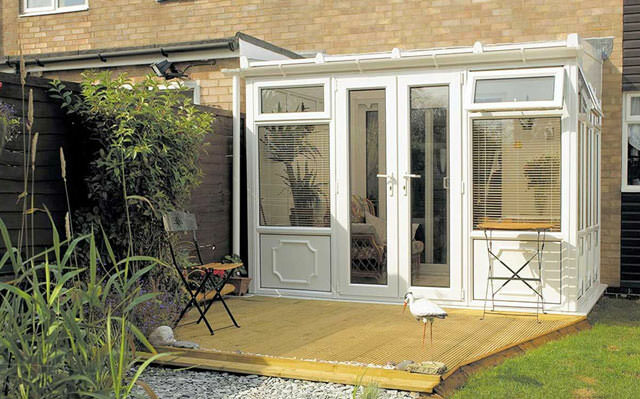 A P-Shaped conservatory combines a Victorian conservatory with the Lean-To to create a dual purpose conservatory. The T-Shaped design features an central projection which could be either Victorian, Georgian or Gable. If you’re thinking of having a conservatory installed, call us today for high-quality conservatories in Bedford, design queries or advice on where how to get started. 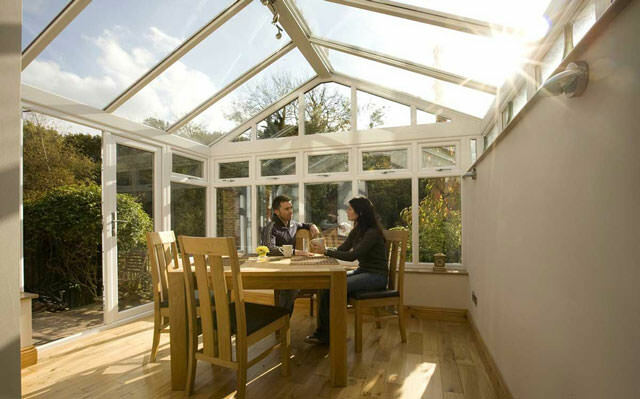 Click here to start your conservatory quote.